In 1980, a Japanese designer shocked the world with his defiant take on one of the most elegant icons of “good design”: the “Wink” chaise longue for Cassina. Since then, Toshiyuki Kita has always been considered a major player on the design scene, alternating high tech projects (he was behind the first humanoid domestic robot) with more sophisticated forays into traditional Japanese decorative arts (from Urushi lacquerware to Washi rice paper). With the “Denq” lamp, which kicks off the partnership between the Maestro from Japan and Oluce, Kita has drawn a simple, unconditional shape revealing the hidden poetry in rigorous lines. An almost sculptural object that is intentionally “timeless” and detached from current fashion trends. A “classic of tomorrow”. 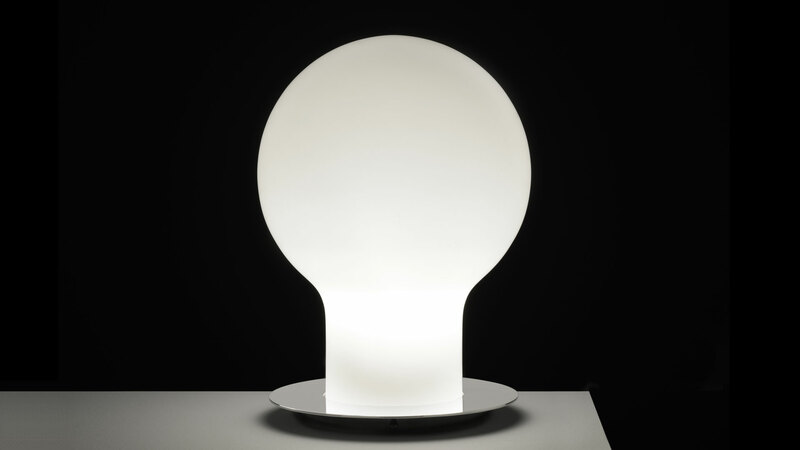 Fitting in with the demanding context of the Oluce catalogue, which has featured Vico Magistretti‘s “Atollo”, the most famous table lamp in the world, since 1977. Toshiyuki is a close friend of Vico and his “Denq” design has skilfully answered the prerequisite of creating an object on a par with such a high-calibre work of art. 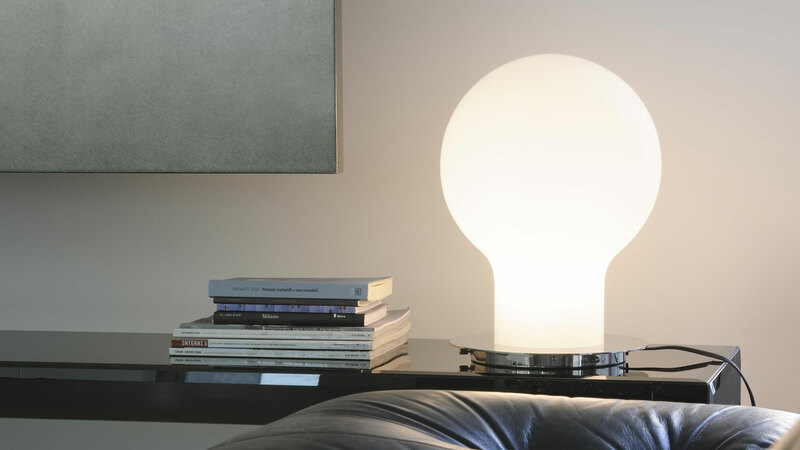 Table lamp giving diffused light in opaline opaque blown glass. Lacquered metal base with chromium-plated laser cut upper base disc. With dimmer switch.